Helloooooooooo, April! We’re excited to see you! We’re spring cleaning our skincare routine with the amazing April Specials! 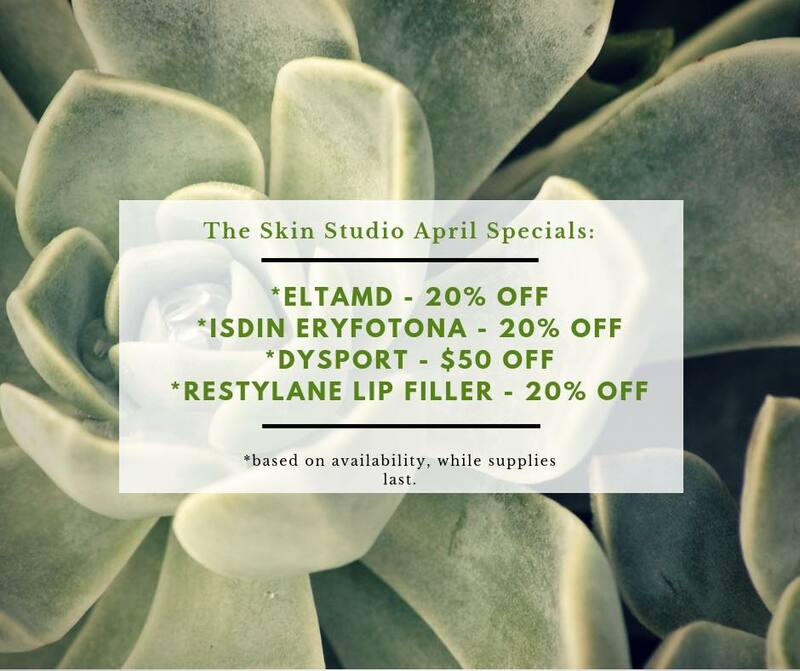 EltaMD, Isdin, Dysport, and Restylane are the perfect options to put some pep in your spring step. *Dysport promotion available while supplies last. Appointments based on availability. Specials cannot be combined. Additional discounts do not apply.